Featuring the 50 most influential women in UK technology awards. 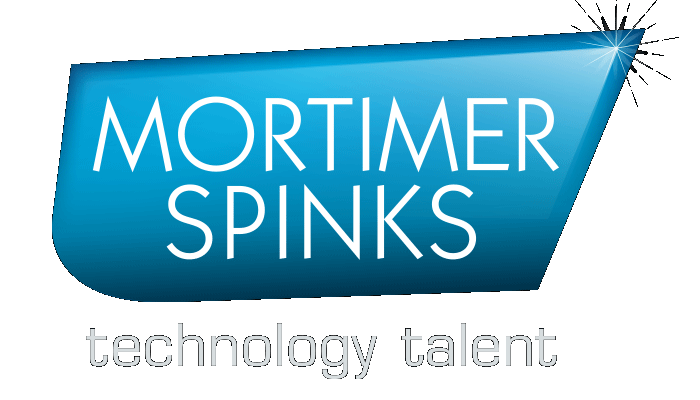 Join us for an afternoon of high-profile speakers and interactive workshops, designed to help you develop a more diverse technology workforce. The event will be sponsored by and held at EY headquarters, London Bridge. We will also announce who has been voted as the most influential woman in UK technology for this year. Who will succeed last year’s winner, Sherry Coutu, Angel Investor and Founder & Executive chair of Founders4Schools? Spaces for this event are limited please apply to register today! Jess is an excitable scientist with an enthusiasm for equality. She works on organic light emitting diodes that emit circularly polarised light, by creating nanostructures out of carbon-based materials. Jess was the UK representative on a US State Department International Visitor Leadership programme, travelling across America for a month looking at initiatives to recruit and retain women in ‘STEM’. A multi-award winner, she sits on the committees of the IOP’s Women in Physics Group, Physics Communicators Group and London & South East Branch. She is also on the Council of the Women’s Engineering Society (WES) and Women in Science & Engineering (WISE) Young Women’s Board. A transformational global leader and innovative technologist, Jacky is a proud advocate for women in technology and access to education for all. As Chief Digital and Information Officer for HMRC, she is driving one of the largest digital transformations in Europe. A member of the Civil Service Diversity Task Force, Jacky also plays a key role in championing diversity in government, providing advice on the Civil Service’s strategy for improving BAME and disabled representation. Whilst making a film about rhino conservation, Emily noticed that everyone at a protest was capturing the activity on their phones. With that, Seenit was born - a video collaboration tool that enables companies to produce high impact, authentic video at scale by engaging their community. Seenit Won TechCrunch Disrupt 2016 and Forbes named Emily as one of their 30 Under 30 in media. They’re now a team of nearly 30, and are powering videos for clients such as The BBC, Team GB, The Hut Group and Benefit. Panel One - What does inclusion mean to you? Many firms are focussed on increasing the amount of diversity in their technology teams, but it is becoming clear that building an inclusive environment is integral to retaining a diverse workforce. In this panel a group of people from all backgrounds and walks to life discuss what inclusion means to them in an organisation, and how firms can address the difficulties of trying to cater to everyone to retain a diverse workforce. Abigail is the CEO of Emoquo, a company delivering real-time digital coaching and analytics to build emotional resilience for people and organisations. Abigail ran a $1bn business and was a senior executive at Microsoft for over 10 years prior to joining Emoquo. Over her 20+ year career, she’s learnt how to engage and empower diverse talent to bring the best of themselves to their work and to the people around them. She is passionate about harnessing the power of technology to create more meaningful human experiences. Josh is the founder and CEO of WeGym, a platform passionate about making personal training accessible to everyday people - less luxury more lifestyle! WeGym uses technology to connect people heading in the same direction with their health to share the cost and experience of a personal trainer. Josh is also a passionate advocate for apprenticeships, having admitted that his apprenticeship with Microsoft changed his life. Arfah is a creative business strategist at Reluctantly Brave and the co-founder of Muslamic Makers, a meetup for Muslims working in tech. Arfah recently traveled to USA, UAE and Pakistan to research diversity in technology and vlog about Muslim women in tech, as part of her Winston Churchill Memorial fellowship. Arfah has spoken internationally about diversity in tech, including an event at Google. She was named a trailblazing Muslim Women for International Women's Day and has been named as a Top 30 London Tech Week Changemaker. Gabriela is People Partner at GoCardless, the Fintech company that provides a simple way to accept recurring payments online in the UK, Europe and Australia. For over 3 years Gabi has worked to build more diverse teams at GoCardless, particularly within product and engineering teams. She has a PhD in Social Psychology and is passionate about creating workplaces where everyone has a voice, feels they belong and is empowered to succeed. Paul has worked at Google for seven years in two different roles - firstly managing various media agency relationships, and then writing and delivering cross product narratives to market. Previous to this, he managed client relationships at both networked and independent media and creative agencies for ten years. Paul has two young children and took extended paternity leave to look after them both. He has since been keen to share his experience, and to evangelise the positive impact of paternity leave, for both parents and children. Panel Two - How can we help female entrepreneurs successfully grow and scale their businesses? Recent research has shown that female entrepreneurs are still struggling to receive institutional funding. The panel will explore and dissect the underlying reasons driving this underfunding issue as well as sharing their own experience on mitigating factors. The discussion will also include a call-for-action for the wider investor and tech entrepreneur community. Anna works in EY’s Corporate Finance team, part of TAS UK&I. She focusses on mid-market Technology and Tech-Enabled Media transactions. She holds an MBA from Cass Business School and a PhD from Tilburg University. She is a published author – ‘Why Deals Fail’ published by The Economist in 2016. Amy Thomson founded Seen in 2011, a digital marketing agency working with brands such as Nike and Microsoft. She sold Seen in 2016 to launch Moody - the first millennial web platform dedicated to womens' cycle and hormone health. They are set to launch their first mood and hormone tracking app in Oct 2018. The concept was born from a business need for better technologies built by Women and for Women, alongside her personal story of burn out from the agency world. Joe Krancki is a Partner at Frog Capital and has sourced and worked on many of Frog’s investments since 2009. Joe also leads Frog’s collaboration with London Business School on the TELL Series, where he has been a founding Advisory Board Member since 2010. He started his career at Ernst & Young in Chicago and spent seven years as a management consultant advising clients and executing large-scale IT projects. Joe holds an MBA from London Business School and an MSc in Industrial Engineering from the University of Wisconsin. Megan's passion for 'customer & client first' combined with her constant drive for innovation led her to co-found Limitless Technology in 2016. Limitless champions Crowd Service®, enabling brands to reward their own customers for delivering exceptional customer service. The platform already works with global giants including Microsoft, Vodafone and Unilever plc. During her 20 year career, Megan has delivered worldwide, transformational solutions and operational excellence for many global brands. There are three workshops, which will be running concurrently in 30 minute slots, so you have the opportunity to attend all three workshops during the afternoon. Please note, these workshops are exclusive to this event and you MUST register to attend this event before signing up to the workshops. We’re all human, all different – but sometimes it can be difficult to put ourselves in the shoes of others. Altogether Different’s approach focuses on bringing Diversity and Inclusion to life via engaging empathy-building experiences. When people understand what exclusion feels like, they are more likely to connect with the challenges in a meaningful way, working together to find genuine practical solutions. Goodbye lip service to diversity and inclusion, hello future focused organisation. In this 30 minute workshop, Charlotte Butler, Founder of Altogether Different will lead you through a taster session outlining the innovation power of inclusive teams, before exploring themes of microagressions from award winning South London artist Heather Agyepong. The session will culminate in an interactive group exercise to demonstrate the universal phenomenon of unconscious bias and how we can work together to reduce it on a daily basis. Code First: Girls (CF:G) is a multi-award winning social enterprise seeking to increase the number of women in tech and entrepreneurship. CF:G is passionate about the crucial need for diversity in the tech sector, using coding education to empower women into new careers. They also work with companies to think through how to support women to stay in these roles - the inclusion piece. In this 30-minute workshop you will gain 3 practical steps that you can take to improve diversity and inclusion in your workplace. The focus will be on helping individuals, managers and firms alike to share good practice and find solutions. Siobhan Baker, Programmes Manager at CF:G aims for you to leave this session knowing - “Here’s what I can do”. With the current wave of digital innovation disrupting businesses in unprecedented ways, there is an urgent need for a new generation of leaders to learn how to leverage these latest innovations within their business. In collaboration with Henley Business School, EY is launching the joint EY and Henley 4-day ‘Women in Emerging Technology – Immersion Course’. The aim of the course is to help demystify the jargon surrounding emerging technologies, explore what they actually are and their applications, and ultimately improve diversity in leadership positions in this area. During the workshop we will explore and share the opportunities of emerging technology and how this can be a catalyst for improving diversity in leadership. To enable the participants of the ‘Women in Emerging Technology – Immersion Course’ there will be career development discussions embedded within the course. To support this we would like to utilise the presence of so many Technology Leaders being co-located in the Diversity in Technology event, to harness their collective advice for career development and refine the top tips that will be presented in the our course. 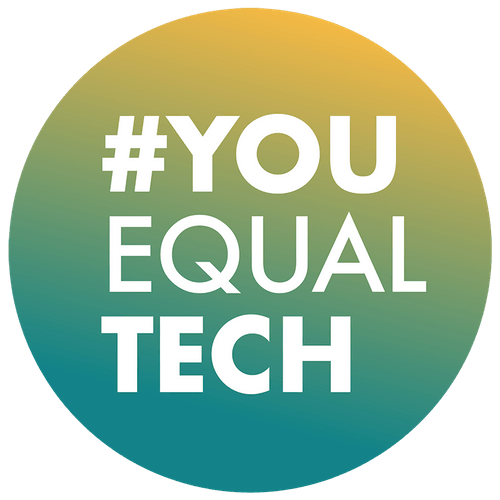 To support this we would like to utilise the presence of so many Technology Leaders being co-located in the Diversity in Technology event, to harness their collective advice for career development and refine the top tips that will be presented in the our course.